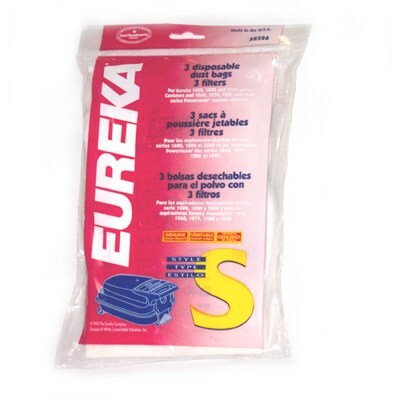 Eureka Style S Vacuum Cleaner Bags Fit: 1600, 1800, 3500 Series. Why compromise the performance of your vacuum by using the wrong bag for it? These Eureka Style S bags come in both genuine and generic, so you can decide which variation fits your needs. if you're looking to buy in bulk, then generic is the way to go. 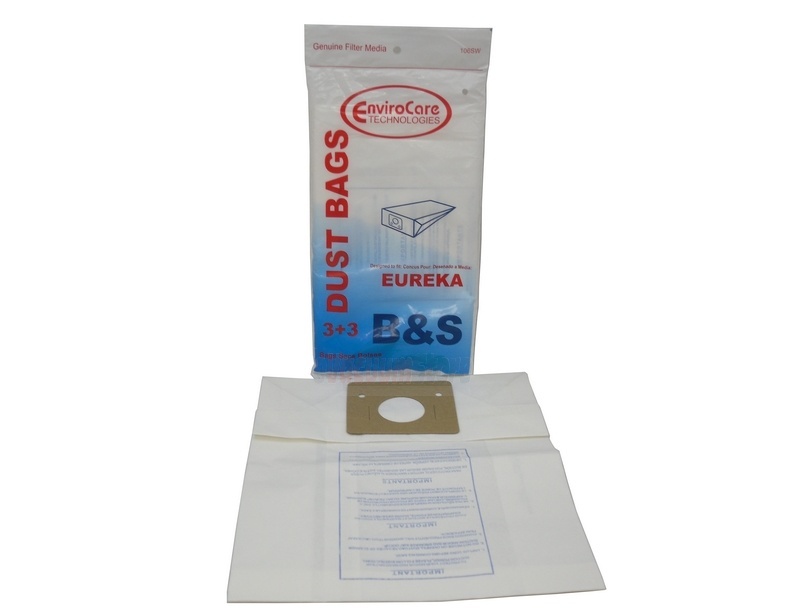 Both economical and simple to use, these generic bags are made of a heavy duty paper material to hold everything you vacuum up. The genuine is made of a clothlike material to prevent tears during cleaning. Perfect for asthma and allergy sufferers, the genuine bags have an odor-eliminating lining to keep nasty odors out of your home. if you require assistance, feel free to contact eVacuumStore.com at (866) 972-8227.